Just like the vocalists said from the first vocalist Insuni to the last vocalist Lee Ju-ho of the male duet “Sunflower,” the concert was overflowed with the warmth of love. Along with the fervent performances of the vocalists, the audiences replied by waving their hands. 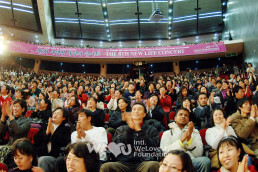 The New Life Concert had been held every winter to deliver love to our neighbors, and this was the 8th concert. 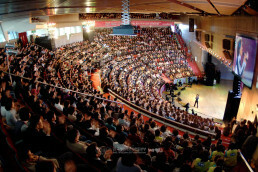 Supported by the Ministry of Health and Welfare, National Youth Committee, Korea Youth Counseling Institute, Sejong General Hospital and Kyeonggi University, the 8th New Life Concert was held at the Teleconvention Center of Kyeonggi University in Suwon Campus, where about 2,000 members gathered on November 25. 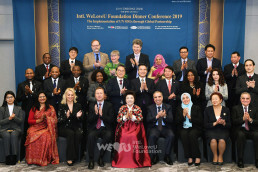 Many guests attended the concert: IWF Chairwoman Zahng Gil-jah, IWF directors and the Chief Director Lee Kang-min, IWF Sponsor Chairman Lee Sun-jae, IWF PR Ambassador Kim Seong-hwan, Gyeonggi Province Governor Kim Mun-su, Suwon City Mayor Kim Yong-seo, President of Korea Youth Counseling Institute Lee Bae-geun, Chief Director of Sejong General Hospital Park Yeong-gwan, Secretary General of Seoul City Social Welfare Council Jeong Yeon-bo, Head of Netherlands Foreign Investment Agency Harry A.C. van Woerden, First Secretary of the U.S. Embassy David Wolf and so on. 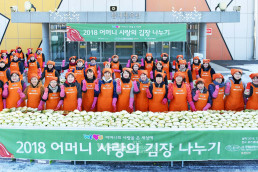 Lee Sun-jae, who is the IWF Sponsor Chairman and a popular actor, gave his thanks and honor to the IWF members who practiced love for their neighbors with the spirit of volunteer service. He proclaimed, “This year, IWF opened a new age to help our unfortunate neighbors all around the world by using all our accumulated know-how for volunteer services.” And he asked for the members’ constant concern and support. At the donation delivery ceremony, the heartfelt donations of the members were delivered to 34 neighbors: children suffering from heart disease or rare diseases, parentless households, foreign disaster workers and so on. Chairwoman Zahng Gil-jah and Sponsor Chairman Lee Sun-jae gave the beneficiaries the words of encouragement along with the donations, and the audiences also cheered them with loud applause. 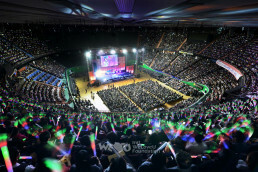 After the donation delivery ceremony, a concert full of love and passion was followed. Vocalist Insuni presented dream to the audiences by the song, “A Goose’s Dream;” and PR Ambassador Kim Seong-hwan, who was recently awarded a Garland Culture Order, received the plaque of thanks and gave laughter to the audience with his witty speech along with his song. 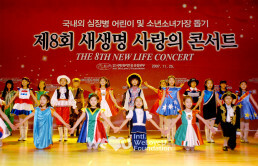 With beautiful songs by IWF members Kim Jae-hoon and Kim Gyu-min, a yodel and do-re-mi song with cute rhythmical movement by the New Life Children’s Choir, the 8th New Life Concert ended as all the performers sang a song, ‘With Love,’ together with the male duet “Sunflower.”“A Mongolian disaster worker thanked, saying, “I haven’t received this kind of help before.” A mother with her three-year-old son suffering from heart disease said, “I can’t thank you enough for helping my son.” A member said, “I was happy to be able to give a small helping hand to my neighbors and deliver our heartfelt love. I hope they will not lose their hope, remembering that there are many neighbors around them.” We were all happy to be able to receive love and much happier to be able to give love. The IWF members deliver the message of love before the concert.